By olduvai in Economics on February 5, 2019 . 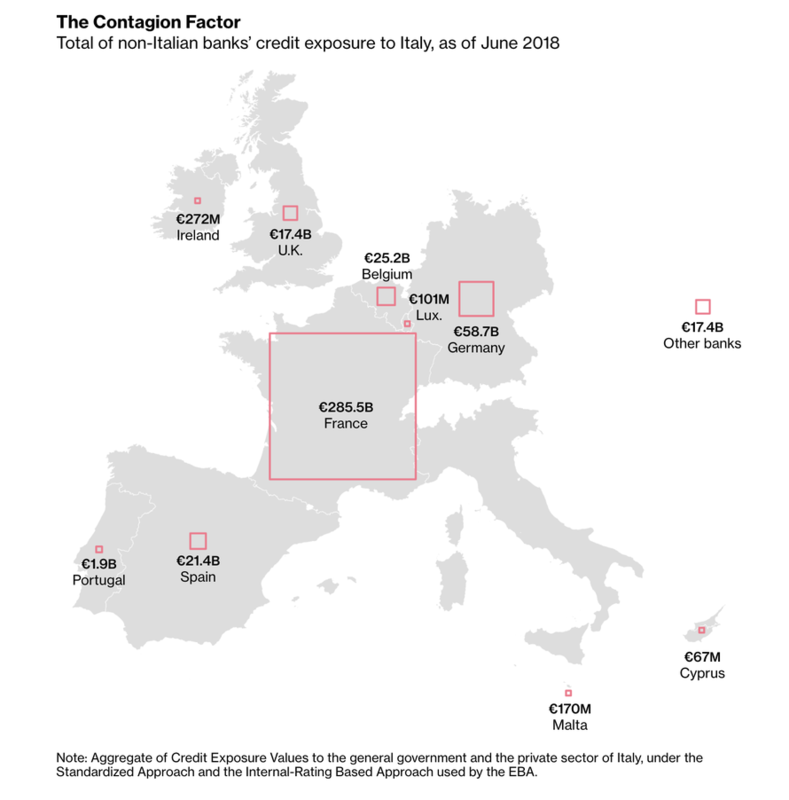 The Bloomberg analysis of Italy’s financial foibles follows more reports that Italy’s ruling coalition between the anti-immigrant, pro-business League and the vaguely left-wing populist Five-Star Movement has become increasingly strained. Per BBG, the two parties are fighting a battle on two fronts over the construction of a high speed Alpine rail and a legal case involving League leader Matteo Salvini over his refusal to let the Dicotti migrant ship to dock in an Italian port last summer. After M5S intimated that it could support the investigation, the League warned that such a move would be tantamount to “blackmail” against Salvini, whose lieutenants have been pushing for him to take advantage of the party’s rising poll numbers and push for early elections later this year. 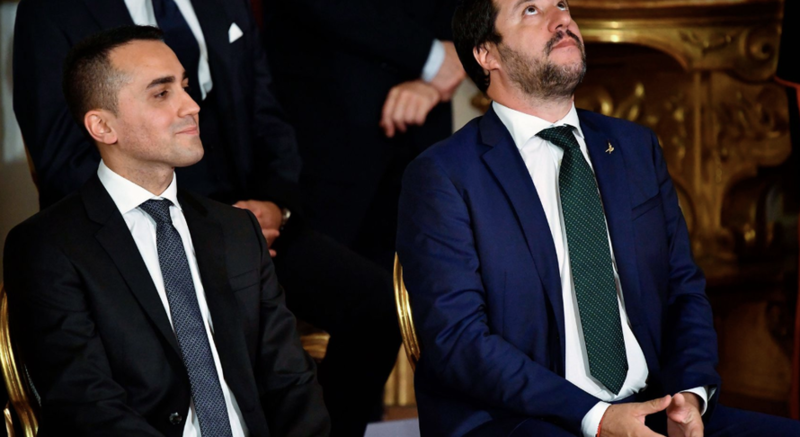 However, Salvini has rebuffed these demands, warning that there’s nothing stopping Italian President Sergio Mattarella from calling for a new coalition instead of new elections.